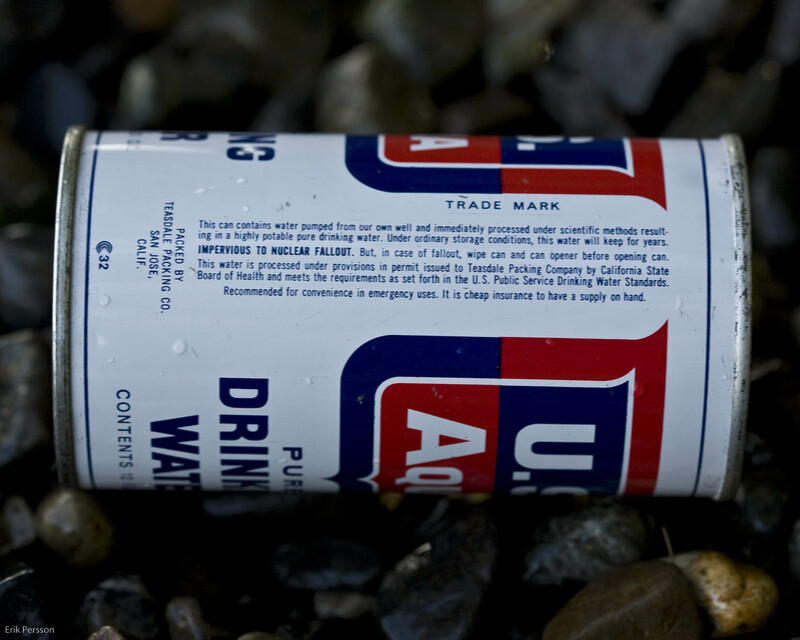 I found this U.S. AQUA water can in an antique shop in Poulsbo, Washington. On the side it talks about how it’s “IMPERVIOUS TO NUCLEAR FALLOUT” and cheap insurance. This convinced me that I had to buy it. Then it sat on my desk for a month and a half. Besides providing life sustaining water in case of political destabilization due to the Nuclear Armageddon that we all know is coming in the near future, it also makes an awesome paper weight. 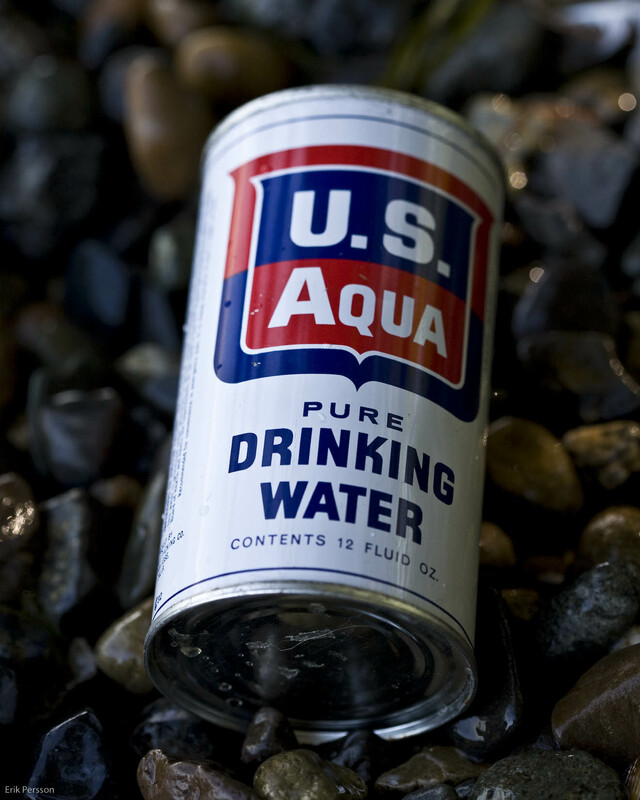 I haven’t been able to find anything about U.S. Aqua or it’s fallout impervious canned water on the internets, (other than some long dead eBay links that won’t even show the seller or the specific auction even) so this is my original content contribution. Heres the complete text from the side of the can. Below that you’ll find a gallery with a bunch more images of said water can. This can contains water pumper from our own well and immediately processed under scientific methods resulting in a highly pure drinking water. Under ordinary storage conditions, this water will keep for years. IMPERVIOUS TO NUCLEAR FALLOUT. But, in case of fallout, wipe can and can opener before opening can. This water is processed under provisions in permit issued to Teasdale Packing Company by California State Board of Health and meets the requirements as set forth in the U.S. Public Service Drinking Water Standards. Recommended for convenience in emergency uses. It is cheap insurance to have a supply on hand. Click here for the rest of my New Years Gallery!